Instead, I want to talk about another kind of award-winner. And it's something I rarely read: a graphic novel. 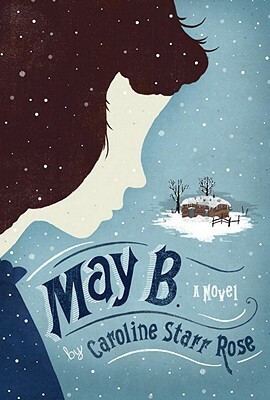 Synopsis (from Indiebound): In Kansas in the year 1937, eleven-year-old Jack Clark faces his share of ordinary challenges: local bullies, his father’s failed expectations, a little sister with an eye for trouble. But he also has to deal with the effects of the Dust Bowl, including rising tensions in his small town and the spread of a shadowy illness. Certainly a case of "dust dementia" would explain who (or what) Jack has glimpsed in the Talbot’s abandoned barn — a sinister figure with a face like rain. In a land where it never rains, it’s hard to trust what you see with your own eyes — and harder still to take heart and be a hero when the time comes. Why I liked it: Well, it's certainly not just because Matt Phelan autographed it last summer when he visited the bookstore, and drew me a little picture of Jack in his cap! I normally shy away from graphic novels, but this one is compelling. It's a fascinating combination of historical fiction and fantasy. That sinister figure in the barn turns out to be something otherworldly. Phelan's imagination soars in this beautifully-illustrated book. Do you like graphic novels? Which ones have you (or your kids) read? MMGM is the brainchild of Shannon Messenger. Check her blog for the links, or see my sidebar. Every winter I eagerly await the ALA Youth Media Awards. 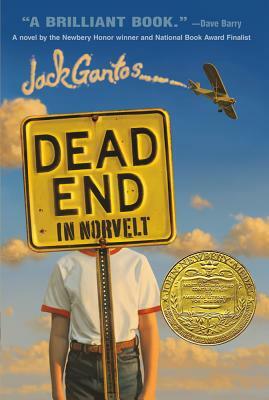 Recently it occurred to me that I'd never read Dead End in Norvelt, last year's Newbery winner. So I set aside a few days for that -- and then read it in one day. Synopsis (from Indiebound): Melding the entirely true and the wildly fictional, Dead End in Norvelt is a novel about an incredible two months for a kid named Jack Gantos, whose plans for vacation excitement are shot down when he is "grounded for life" by his feuding parents, and whose nose spews blood at every little shock he gets. But plenty of excitement (and shocks) are coming Jack's way once his mom loans him out to help a fiesty old neighbor with a most unusual chore—typewriting obituaries filled with stories about the people who founded his utopian town. As one obituary leads to another, Jack is launched on a strange adventure involving molten wax, Eleanor Roosevelt, twisted promises, a homemade airplane, Girl Scout cookies, a man on a trike, a dancing plague, voices from the past, Hells Angels . . . and possibly murder. Why I like it: This is hilarious, weird, and wise. It's historical fiction, but also a fast-paced murder mystery. And since it takes place in 1962, when I was a child, I got a kick out of reading about bomb shelters, drive-in movies, and typewriters (anyone remember typewriters?). But it's the characters who draw you in and offer immense entertainment here, especially old Miss Volker, with her obituaries, and old Mr. Spizz with his tricycle. The most fun, of course, is watching Jack get into predicaments and wondering how he'll get out of them. Even reluctant readers would enjoy this. MMGM is the brainchild of Shannon Messenger. See her blog for the links, or check out my sidebar. Have you read Dead End in Norvelt? 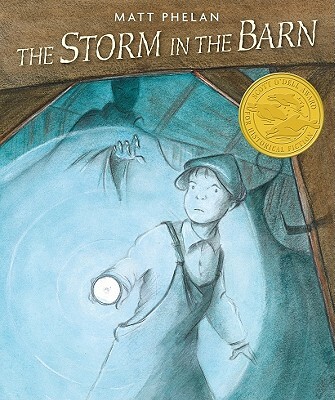 And what do you hope wins this year's Newbery award? Today, I'm hanging out over at Random Acts of Reading, where the blogger panel answers the question,"What Are Your ALA Award Predictions?" Head over there and join the discussion, or comment here. 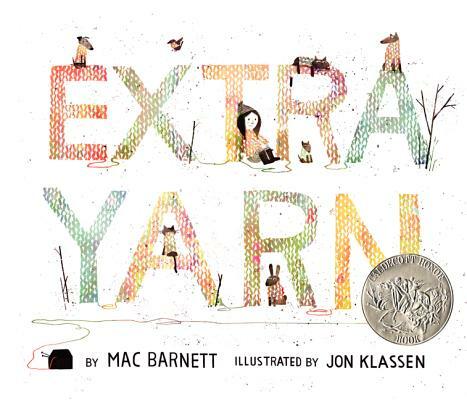 What do YOU hope will win the Caldecott, the Newbery, or the Printz award? You have until January 28 to figure it out!